In a video from 1984, long time Long Grove mayor Bob Coffin and his wife Betty show how they tap and make maple syrup. The post Maple Syrup Season appeared first on Long Grove Historical Society. This short documentary film entitled Maple Syrup Time in Long Grove features long time Long Grove residents Bob & Betty Coffin. The Coffins have been tapping sugar Maple trees for the past 30 years. You’ll see them demonstrate procedures for tapping the trees and converting the sap into waffle ready syrup. Produced and filmed by Jack Schaum and narrated by David McCartny. If you fancy watching some trees being tapped live, head on over to the Lake County Forest Preserves website, and sign up for one of their Maple Syrup Hikes that are offered in the latter half of March. 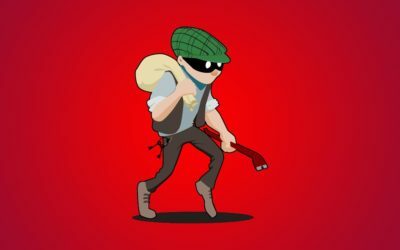 If you’re more in the mood for some armchair sleuthing, check out this article about a massive theft of syrup that occurred in Quebec. 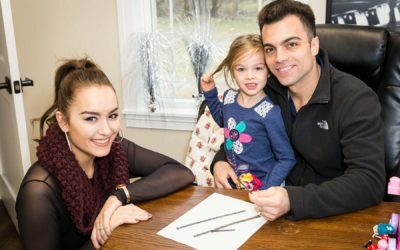 After pondering how on earth you would profit/fence/resell that much syrup without getting caught, you can check out this article to read what really happened. If you have access to Netflix, you can also watch the whole story on Dirty Money – Episode 6 – “The Maple Syrup Heist”. It’s also the subject of the plot for Elementary – Season 5 – Episode 13 – “Over A Barrel”. Who knew Maple Syrup could be such a hot commodity? Join the Long Grove Historical Society and help get the Long Grove Covered Bridge restored. The post 2019 Membership Drive appeared first on Long Grove Historical Society. Click here for information on how to make a donation and join our ranks. 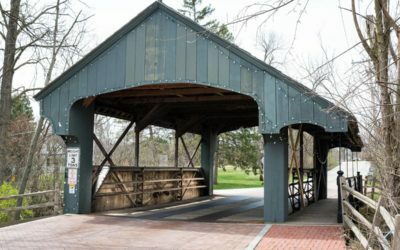 Please consider a membership in the Long Grove Historical Society for the year 2019.As you have likely heard, the Historical Society, partnering with the State of Illinois and the downtown merchants, was successful in getting our covered bridge placed on the National Historic Register. Only a few days later, the Bridge Covering was badly damaged by a wayward truck. Efforts to rebuild the bridge will be ongoing into the next year. The Historical Society will continue our work of advocating for preservation of our historical icon. Our volunteer organization also owns and maintains three properties as a reminder of our heritage: the 1850’s Farmhouse Museum, the historic one room Archer School, and the 1850’s restored Ruth Barn. 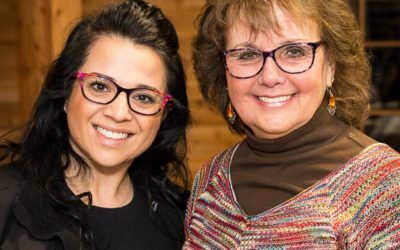 We have an ongoing relationship with the community and the members of the Historic Downtown Business Association, and strive to provide educational opportunities through our activities and programs. New for this year was a remodeled patio at our Farmhouse which functioned as a stage for several family friendly programs over the summer. While membership dues have always been a major part of our annual revenues, they’re especially critical this year. 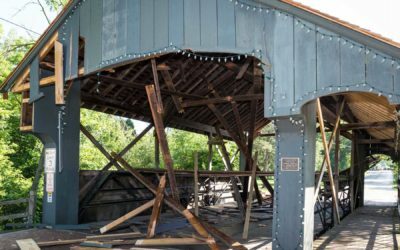 In addition to the time and effort that has gone into advocacy and fundraising to preserve the Covered Bridge, our buildings have also needed major repairs, such as new windows and a new security system. This coming year we will need to repaint. Due to the construction in the downtown this fall, our major annual fund raiser, the Ghost Walk, had to be cancelled. We continue to be dependent on the support of friends and neighbors such as yourself. The Long Grove Historical Society is a registered 501C3 charity and receives no public funding. We hope you’ll consider a membership for 2019 so that we may continue to provide this advocacy and these wonderful programs to the community. If you’re interested in volunteering, we can always use a hand. Contact Angie@LongGroveHistory.org, for more information. Fancy a creepy historical walk around the coolest downtown in Lake County? Join the Long Grove Historical Society for their sixth annual Long Grove Ghost Walk! The ghosts will be there... will you? The post 2018 Long Grove Ghost Walk – Our Sixth Annual Event appeared first on Long Grove Historical Society. Unfortunately, we have had to cancel the 2018 Long Grove Historical Society Ghost Walk, due to road and sidewalk closures in the downtown. See our Facebook event listing for all the details. Email our event chair persons at ghostbusters@longGroveHistory.org if you have further questions. Video from the 2018 Vintage Days performance of Good TImes with the Gridleys. The home town show covers retells some significant events in Long Grove History. The post Good Times with the Gridleys appeared first on Long Grove Historical Society. 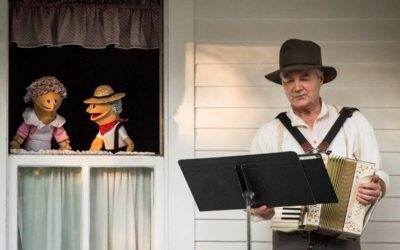 An enthusiastic crowd got a treat this past Saturday and Sunday with the performance of the original musical “Good Times with the Gridleys”. The show covers some significant events in Long Grove History. The first clip below is a bit over 5 minutes and hits just the hightlights, while the second clip contains the entire 30 minute show. Enjoy! 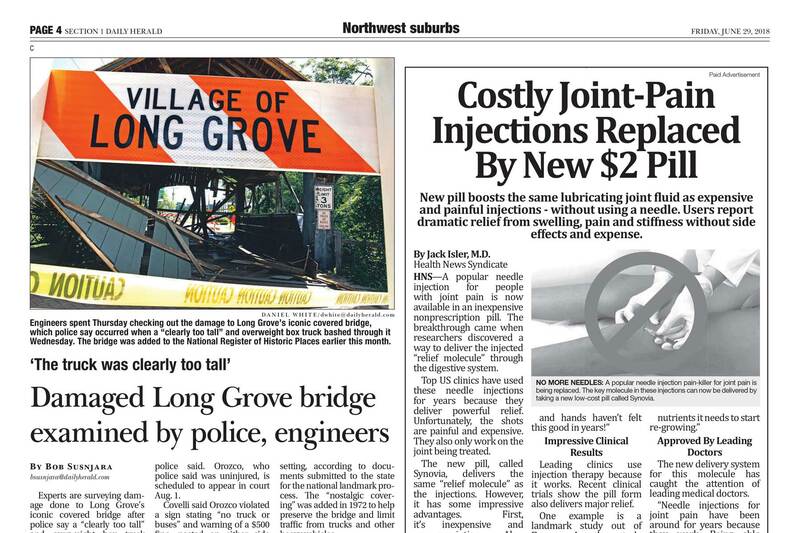 Only days after being placed on the nation's National Historic Register, Long Grove's iconic bridge was severely damaged by an over-size, over-weight truck. The post Bridge Damaged appeared first on Long Grove Historical Society. Unbelievable. Only days after being placed on the nation’s National Historic Register, the bridge was severely damaged by an over-size, over-weight truck. Hopefully, the damage was limited to the covering, which has been the case in previous run-ins with trucks that disregard all the signage. The post Family History Research appeared first on Long Grove Historical Society. As an all volunteer, privately funded (well… underfunded… 🙂 ) group, we lack the resources to perform family history research or consulting. We have no public archives, aside from what’s on this website. We do not have any original records for the Long Grove area – those are held in other institutions. We love getting pictures and old stories of old Long Grove, so if you have some to share – please send them our way. 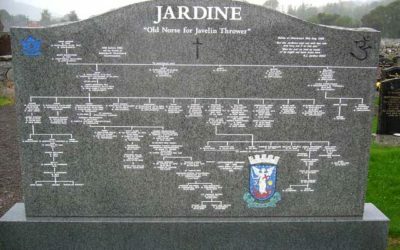 We do occasionally collaborate with a family history researcher on research and document items of significance. So if you’re tempted to drop us an email to inquire if we know anything about your great-great-uncle Bob… there’s no need. We’ll just refer you to this page, where you can check the above indexes. However, if you’ve been told that your great-great-uncle Bob wrote the Army Air Corps theme song while visiting his sister in Long Grove… by all means let’s talk! Long Grove's Buffalo Creek Bridge, more commonly known as the Long Grove Covered Bridge, was listed on the National Register of Historic Places by the National Park Service of the United Stated of America. The post Bridge Listed on National Register appeared first on Long Grove Historical Society. We received notification today from the Illinois State Historic Preservation Office that Long Grove’s Buffalo Creek Bridge was formally listed on the National Historic Register, June 11, 2018! The Register is maintained by the US National Park Service, and is the official list of the Nation’s historic places worthy of preservation. This is Long Grove’s first listing on the prestigious register and only the second one in Vernon Township (the Adlai Stevenson home is the other listed property). 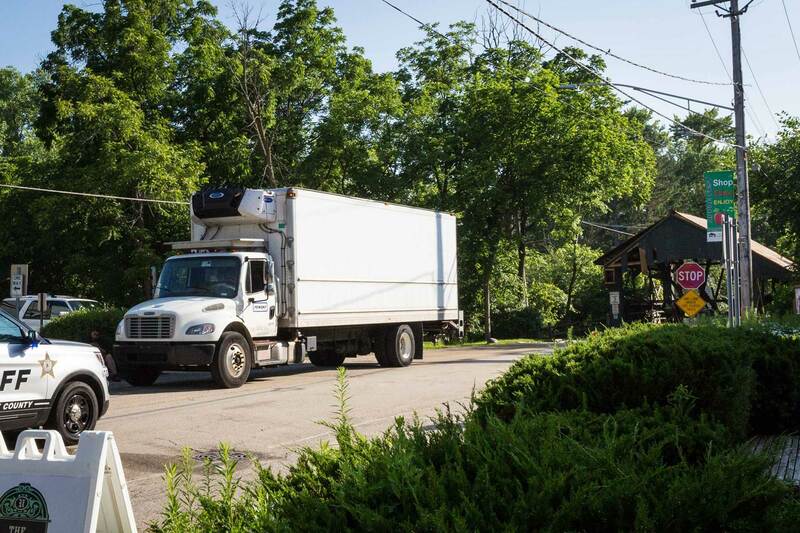 The celebration originally planned for July 12th has been postponed to give the bridge time to recover from it’s recent bout with an over-size truck. When the bridge is back in good health, we’ll announce plans for an event to properly celebrate the designation. Join us this weekend to kick off our summer events at Long Grove's Historical Farmhouse. Fun family events are planned all summer long - see the complete listing of dates and times below. Also, learn about a few old things that turned up around town, meet our new board members for the upcoming year, and find out who won the recently completed Covered Bridge Art Contest. 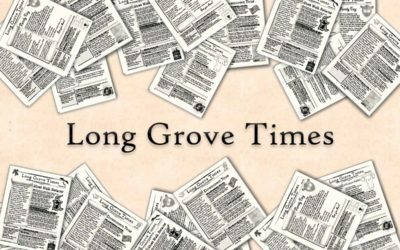 The post Long Grove Times – #39 Summer, 2018 appeared first on Long Grove Historical Society. In this issue… Join us this weekend to kick off our summer events at Long Grove’s Historical Farmhouse. Fun family events are planned all summer long – see the complete listing of dates and times below. Also, learn about a few old things that turned up around town, meet our new board members for the upcoming year, and find out who won the recently completed Covered Bridge Art Contest. 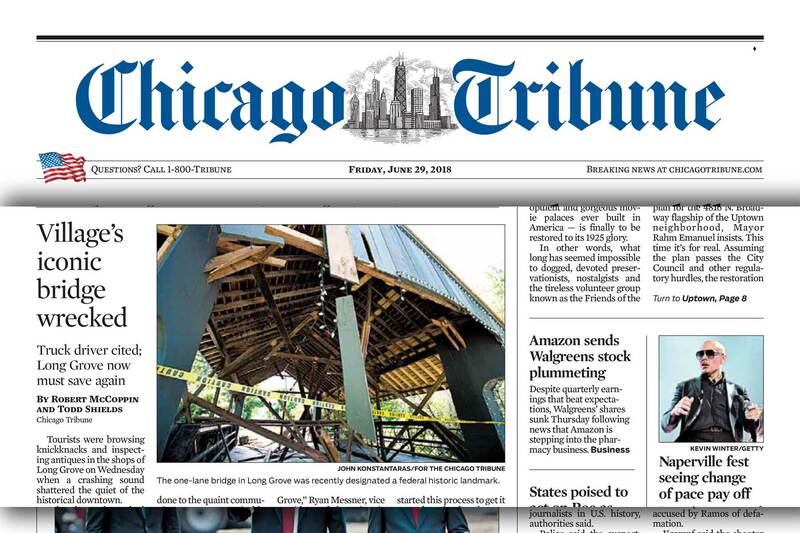 Only days after being placed on the nation’s National Historic Register, Long Grove’s iconic bridge was severely damaged by an over-size, over-weight truck. Long Grove’s Buffalo Creek Bridge, more commonly known as the Long Grove Covered Bridge, was listed on the National Register of Historic Places by the National Park Service of the United Stated of America. Join us this weekend to kick off our summer events at Long Grove’s Historical Farmhouse. Fun family events are planned all summer long – see the complete listing of dates and times below. Also, learn about a few old things that turned up around town, meet our new board members for the upcoming year, and find out who won the recently completed Covered Bridge Art Contest. Long Grove Historical Society’s Historical Book Club selections for 2018/19. An old Long Grove promotional item is discovered – how old is it and how does it relate to Long Grove? 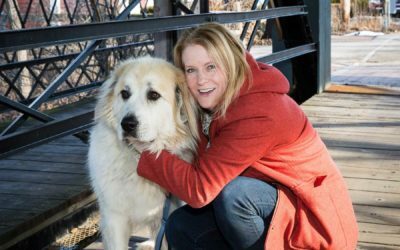 Free, fun family entertainment planned for 2018 at Long Grove’s Historical Farmhouse Back Porch. 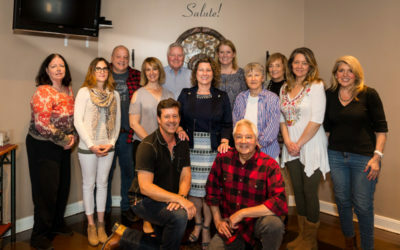 The Long Grove Historical Society celebrates the accomplishments of the past year and the creation of a new board for the 2018/19 season. In the early 1900’s, creating your own photo postcard was all the rage. Watch a 1997 television piece of Long Grove. Historically, the Long Grove area had a different mix of animals than it does today. 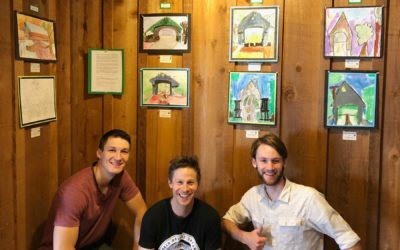 Winners announced for the Covered Bridge Art Contest. Some old nails discovered during reconstruction at Red Oaks in Long Grove. Time to get on the bandwagon for 2018… renew or join now! Origins of the word hooligan. How Long Grove resident Gloria Jean Kvetko started Gloria Jean’s Coffee Bean. Long Grove Historical Society's Historical Book Club selections for 2018/19. 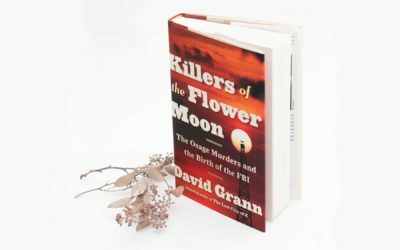 The post Book Club Picks Books appeared first on Long Grove Historical Society. The HISTORICAL BOOK CLUB, which typically meets at Long Grove’s Sunset Foods, 2nd floor conference room at noon, has picked several books to be discussed this year. Email Tina Mall or use our contact page if you would like to join the book club for their lively discussions. An old Long Grove promotional item is discovered - how old is it and how does it relate to Long Grove? The post Vintage Advertising appeared first on Long Grove Historical Society. 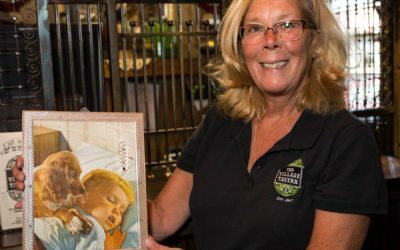 This Long Grove History article appeared in the May, 2017 issue of Long Grove Living magazine. 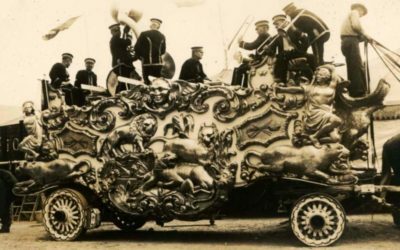 Ebay can be an interesting place to pick up Long Grove historical items. There’s almost always a few old postcards, wooden nickels, and match books. Most of these items date from circa 1980, give or take a decade. Occasionally, though, something older will pop up that’s a bit more interesting. Recently an old dinner plate from 1952 popped up with a familiar looking green Village Tavern logo. It was identified as being from the Long Grove Village Tavern. However, a closer inspection of the building depicted in the logo seemed a bit off for our Village Tavern. Since it was only a few dollars, I decided to acquire it and check it out with current Village Tavern proprietor Mary Ann Ullrich. Mary Ann confirmed that the plate wasn’t related to the Long Grove Village Tavern and pointed out that at that time, 1952, it was called Didier’s Tavern, and didn’t take on the Long Grove Village Tavern name until a few years later when her family acquired the property. She disappeared upstairs for a minute and returned with a box of “old things” that she had found, acquired, or been given over the years. Most of it was advertising and promotional items from the 1940’s and 1950’s. One thing that struck me as unusual was everything seemed to involve a thermometer. Apparently, thermometer promotional things were yesterday’s equivalent of today’s logo pens. 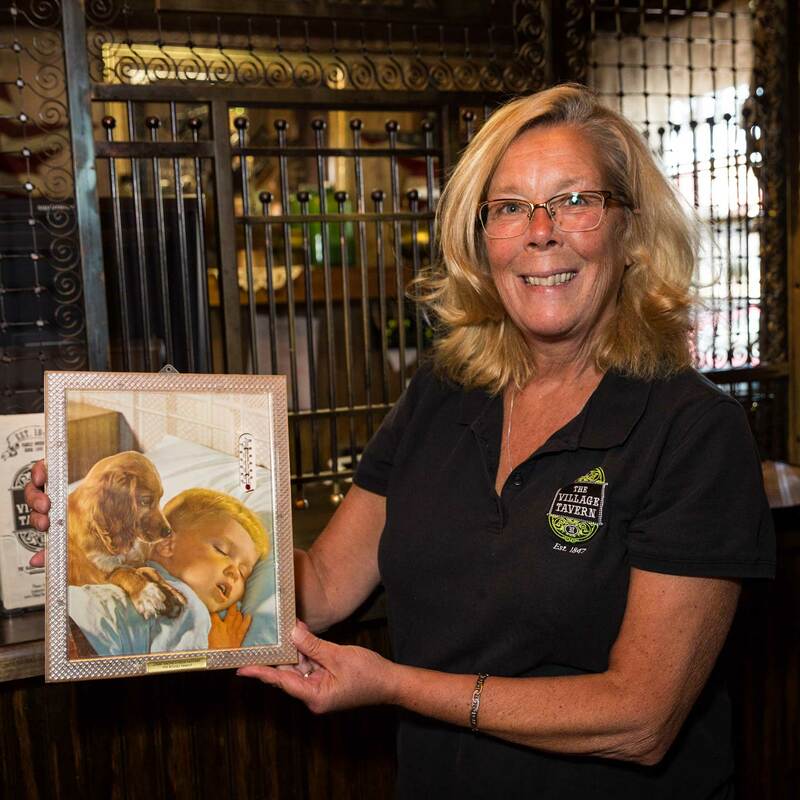 Pictured is Valerie Krause of the Long Grove Village Tavern, holding a nice framed picture with an embedded thermometer in the upper right corner. This was typical of the “embedded thermometer” things in Mary Ann’s box. 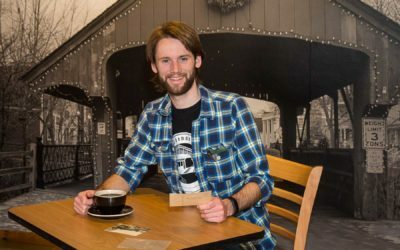 I gather the idea for merchants was that they would give you a nice picture to hang on the wall and you tolerate having their name on it, seeing how it was such a nice picture. Eventually, merchants figured out the odds of you actually hanging up their item on your wall went way up if it also provided a service, such as letting you know what the temperature was. By the 1920’s Thermometers had become inexpensive so were just the ticket for this sort of promotion. The picture Valerie is holding would appear to be from the 1940’s or 1950’s. Alas, this little wannabe Long Grove artifact had a similar issue to the plate I found on eBay. The Long Grove Cheese Factory underwent a name change when it was acquired by 1908 by Bowman’s Dairy of Gurnee and had ceased operation well before this framed picture was produced. Was this from a different Long Grove Cheese Factory not in Long Grove, Illinois? The inscription, “LONG GROVE CHEESE FACTORY – THE ROOSLI FAMILY”, provides the answer to the mystery. A Joseph Roosli ran a cheese factory near Platteville, Wisconsin, which was known as the Long Grove Cheese Factory. There’s no relationship between the factories other than the naming coincidence. Oh well, at least the thermometer still works.